Yes, you read that right. I am counting calories. And I will be the first one to call myself out. I once wrote a post called 10 Reasons Why You Should Stop Dieting. Plus my tagline is “Your Journey to Your Happiest and Healthiest Life – NO DIETS ALLOWED.” I personally hate the word diet. Yet, here I am counting calories. Does that mean I’m on a diet? Gah, I sure hope not! Let me explain how this counting calories situation came to be and then I’d love some feedback on if you think this is healthy or not. Instead of putting things into sentences and full paragraphs, we’re going bullet-point form. I’m still trying to make sense of things myself and can’t exactly get my thoughts straight to decide if this is a good thing or not. * I have been recovered from my eating disorder for over 3 years. * I stepped on it last week knowing that it would be higher than I expected because my clothes weren’t fitting well anymore – it ended up being even HIGHER than I thought it would be. * In order to wear clothes that fit, I needed to pay closer attention to WHAT I was eating when I got hungry. So those are the series of events that led me to revisit my MyFitnessPal app (MFP) in order to start keeping track of what I’m eating. I’m still enjoying the foods that I want, although in a much smaller and much more conscious and educated mindset. When I eat, I enter it into the app. If it’s a recipe from another site, a lot of times you can just import the recipe and match up the ingredients really quickly. Super simple and doesn’t take a whole lot of time. * am I being obsessive? * would I freak out if I didn’t track my calories for a day or two? So the answer to these questions are that no, I’m not being obsessive or restrictive. Yes, I’m getting close to the amount of calories I should be. And no, I wouldn’t freak out. I actually didn’t track my calories at all over the weekend last week and I did just fine. In fact, I’m going on a little vacation this weekend and have zero plans of tracking my calories. I will enjoy food and beverages. I will make healthy choices. I will try not to over-do it. I just know that I don’t want to spend my fun & relaxing time worrying about that stuff. And then back to it next week. So am I on a diet? No. I’m being more conscious of what I’m eating and how much of it I’m eating. I still don’t have any restrictions as far as what I eat, although my natural preference has been to whole foods and produce. I personally am treating this situation as if I never had an eating disorder. I am not that person anymore. I do not have to worry about going down a spiral. But the truth of the matter is that I have gained a little bit of weight and would like to take a healthy amount of control over that again. Just like a person with a healthy relationship with food would do. It’s simple science that I’m following here. In order to lose weight, you must consume less than you burn. As long as you don’t go to extremes I see nothing wrong with it. Is this a way of life that I could live with forever? YES!! Like I said. I’m still allowing whatever I want to eat, I’m just being more aware and needed to have a “come-to-jesus-reality-check” with myself. What I mean by that is that I had to remind myself that if I want to reach certain health & fitness goals, I’m not going to get there by eating ice cream for dinner. Simple fact that I had to remind myself of. EDIT: Something that just came to my mind. I don’t intend on keeping track of calories forever. The point of this is to get a feel of what “x” amount of calories feels like again. I have been so used to just eating whatever I wanted, and the truth of the matter is that I’ve probably been eating MUCH more than I imagined. So I want to hear your opinion. What do you think? Healthy decision for me? Or not so smart? Question 2: Does this make you lose respect for me? I have followed your blog for a while but I think this is my first time commenting. Personally, someone trying to better/improve their life would never make me loose respect for them! You know whats best for you and your body. So, I say as long as you stay honest with yourself and not just convincing yourself “no, I’m not being obsessive/ restricting” then go for it! Healthy eating isn’t a diet, it’s a lifestyle. 🙂 Good luck, and I wish you the best with your new plan! Thank you Kristina! I SO appreciate the support, especially from someone who has been reading for a long time and knows that I preach no-dieting. I agree that this isn’t a diet. I don’t feel like I’m on a diet. I just feel like I’m being more conscious of my eating decisions. And I will continue to keep myself in check along this new journey. I’m doing the same thing! I struggled with an eating disorder for many years, and just got back to counting calories to keep myself in check. I don’t plan to do it for very long, but I needed a reset button on how much I was actually eating. Nicole, that’s exactly where I was. I think I got too comfortable in the “I can eat whatever I want because I’m recovered” mindset. All cares out the window. Not working out enough to offset that mindset. And in the meantime, even though I KNOW weight and size are not #1 and they don’t equal my worth, I was becoming more unhappy with my body. And like I said, clothes just weren’t fitting. I think like you said, it’s just time to re-set and get a bit more of an accurate gauge of where we are – I need to remember what x number of calories feels like every day and then I’ll let go of actually recording it. No respect lost! I think there is room in a healthy diet for counting calories. In fact, I think it makes you more informed about what you are putting in your body. I used to snack on chocolate chips out of the freezer thinking that I was only getting about 50 calories extra per day, and I’m not worried about 50 extra calories. Then one day I decided to measure to see exactly how much I was eating, and I was shocked to realize I was eating an extra 300 calories a day in chocolate chips! I still eat them, but now I’m more aware of exactly what I’m putting in my body. I really appreciate your honesty and sharing this! Oh my goodness, yes I completely understand that! 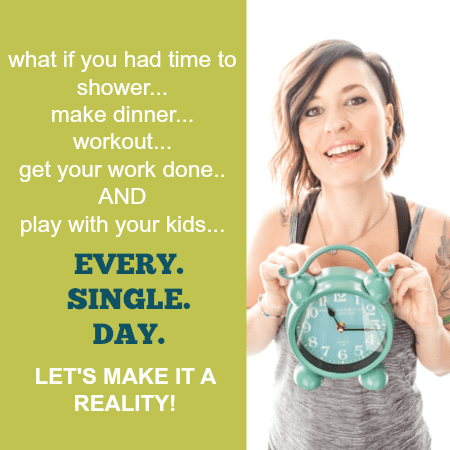 Sometimes it takes really breaking it down and realizing what you’re putting in your body for that wake-up call to happen.Thank you so much for your support! Starting with #2, NO way! No respect lost. I think that eating too much can be just as bad as not eating enough. It certainly sounds like you’re looking at this from a healthy angle. You’re making sure that you areny restricting or obsessions. As long as you’re consuming a healthy number of calories and not restricting this sounds like a healthy thing! that’s exactly how I feel. 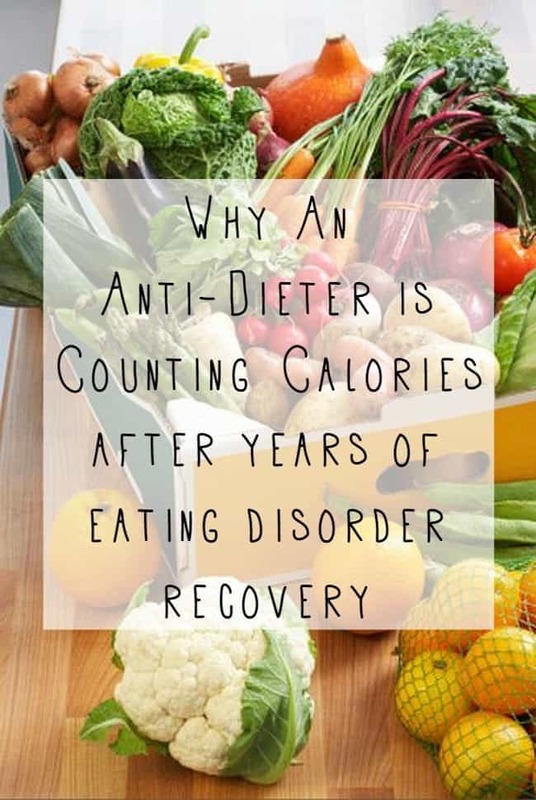 I came at this with a lot of conscious thought knowing that my eating disorder history could cause issues if i started counting calories again. but I feel great about the decision and don’t feel any of the bad obsessed feelings coming back at all. Thanks for your support Kate! Sounds completely reasonable to me. I’ve had a life of the opposite relationship with food as you had. I’m an emotional eater, have been forever, but especially now that I am physically disabled and very sedentary, that relationship sure shows! I’m now just watching portion sizes and eating healthier. So far it’s been good. No sweets in the house sure helps. They’re my downfall. I’ve lost 1/4 of my total goal, which is how I look at my goal: by 1/4 at a time. I congratulate you. That’s a wonderful way to look at it! Sounds like you’re well on your way. And actually I struggled with both not eating and binge eating, so I totally understand both sides of it. I commend you for taking charge! Keep up the good work!